Bonus: For a great range of Promotions visit the 32Red Website for more information. 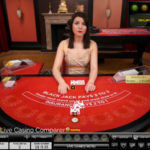 32Red are a well respected online casino that have just taken a big step forward with the introduction of an Evolution Live Casino. There are 10 live games to choose from and you can play in stunning HD. A real improvement from the rather limited Microgaming live Casino. Players from United Kingdom are accepted. 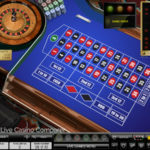 I arrived at 32Red live casino having read someone else’s review of playing slots at their online casino. What immediately jumped out from the review and subsequently what I’ve read on a number of player forums is how highly regarded 32Red are. 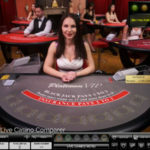 They have the best customer support team bar none, and whilst not having the widest selection of game providers are one of, if not the best Microgaming online casino out there. So I had no qualms about testing out their live casino. 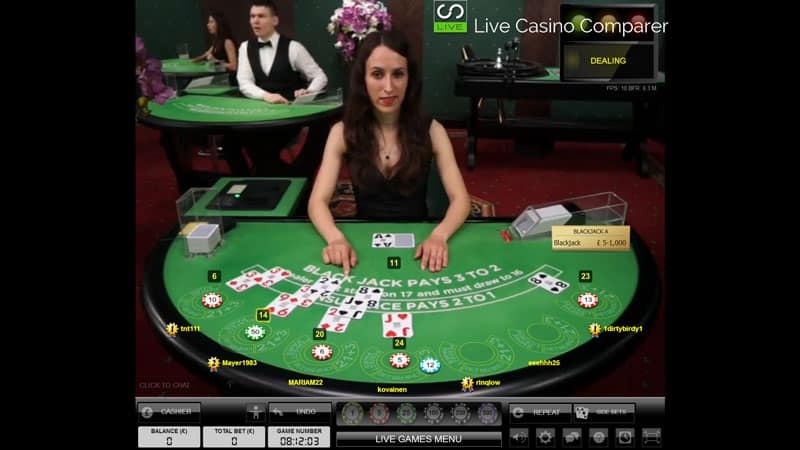 The live casino is no longer provided by Microgaming, but by Evolution Gaming. 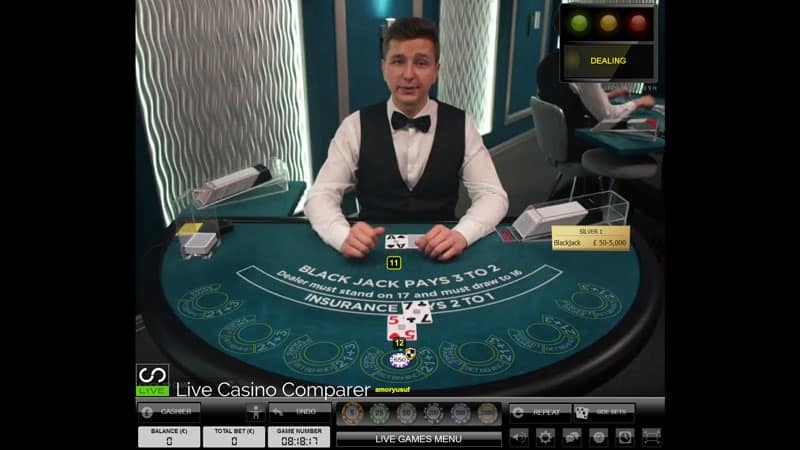 It was announced in September 2015 that Evolution and Microgaming were forming a strategic partnership that would see European based Microgaming casinos replace their live casino product with the one from Evolution. 32Red were one of the first to make the transition. 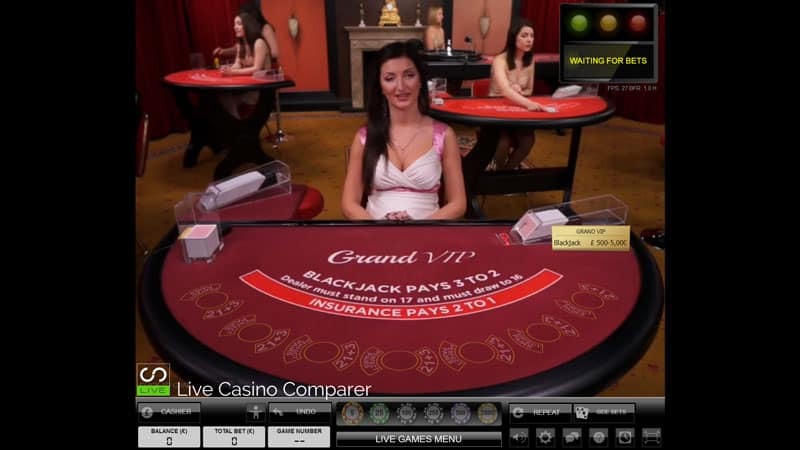 I was thankful for the change as I never really liked the Microgaming Live Casino. 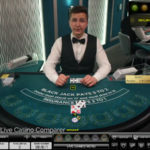 So, once restricted to 3 games, 32Red can now offer players 10 live casino games, using the latest HD playing interfaces and some of the newest playing options out there. 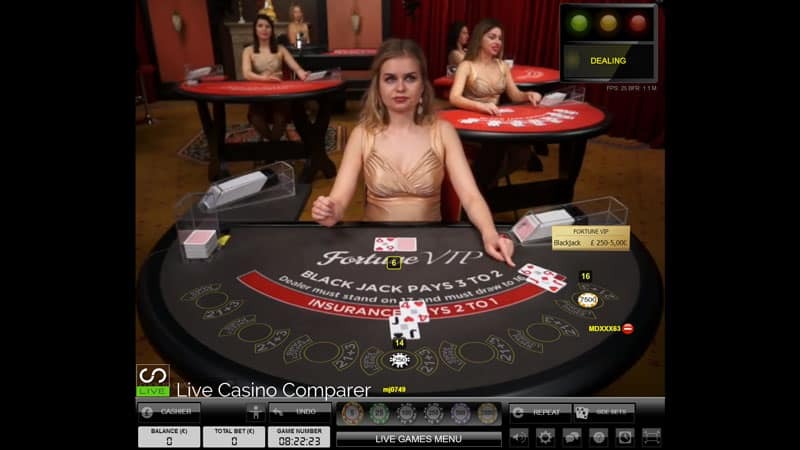 In common with most of the live casino software providers, there is no download needed to play, you just fire up your browser and away you go. 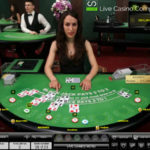 You can’t get to see the Live Casino without signing up for an account. You don’t need to make a deposit to have a look around, but if you do they offer a nice Welcome Bonus to new players. This is played with 8 decks. You have loads of tables to choose from depending on what you want to stake. The minimum bet you can place is £0.50 right up to a max of £5000 a hand. There’s a choice of three side bets, Bet Behind, Perfect Pars and 21+3 (Rummy). 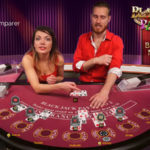 The Party Blackjack table really suits beginners, whereas the VIP and Silver tables suit established players wanting to play for higher stakes. There are loads of tables available BUT you may have to wait for a seat at busy times as 32Red share the tables with other casinos. However, they do have one dedicated table which does get a bit busy. SO if you can’t get a seat then good alternatives are Genting or William Hill as they have more dedicated tables. 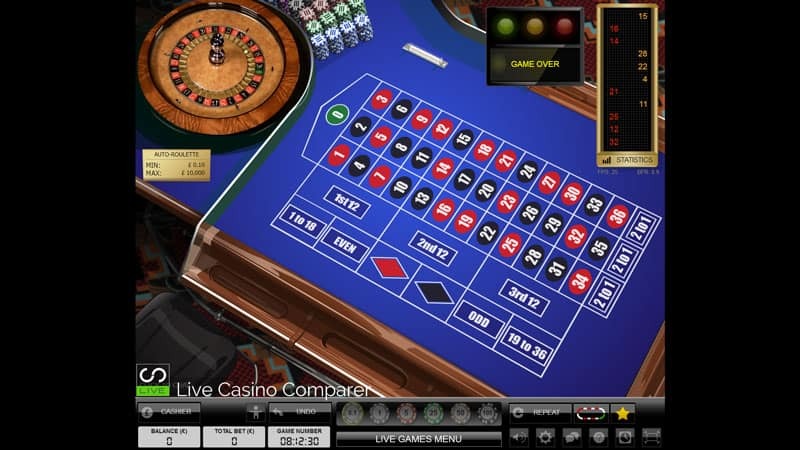 Loads of live roulette options here. You’ve got the two versions of Immersive Roulette, normal European roulette and French Roulette with La Partage. For those that like a quicker game Auto Roulette played with a real wheel should suffice or the newer Speed Roulette. If you like BIG Wins then Lightning Roulette with it’s 500x bet Multipler is the game for you. 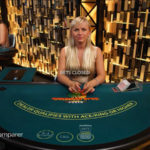 Evolutions Baccarat has undergone a major change during 2015/2016 and you now get the fully HD Baccarat Squeeze and player Controlled Baccarat Squeeze. With multiple camera angles and high-definition play this really is an experience. 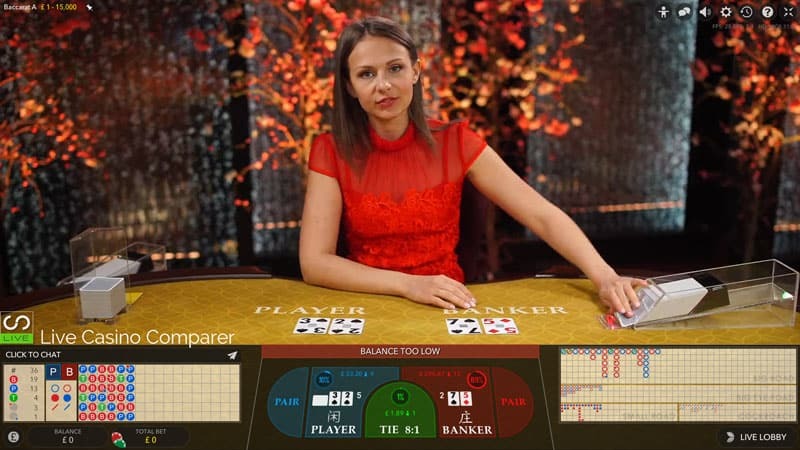 There is a full set of Baccarat Roadmaps and you can configure the playing interface to suit. There is also a non-squeeze version if you prefer to play without it as it’s not to everyone’s taste. 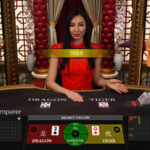 If Baccarat is your game, take at look at my Baccarat Strategy page for hints and tips on playing the game. 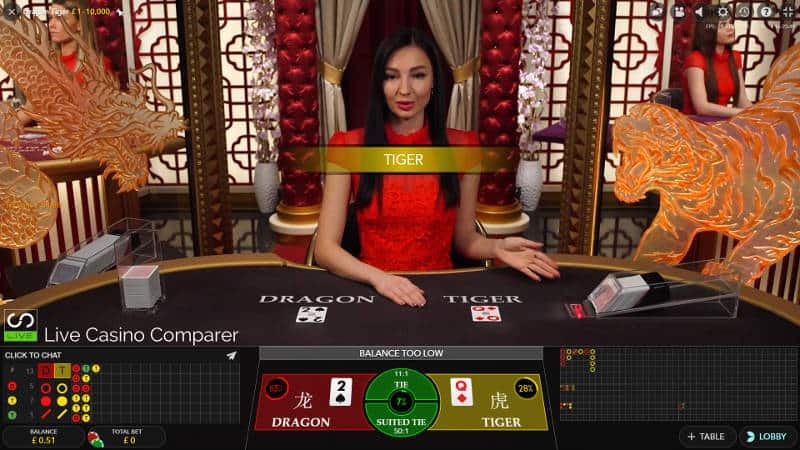 A simple game played between the Player and Dealer, or Dragon Tiger. One card is dealt to each playing position. The highest card wins. It’s as simple as that. Stunning graphics and studio lighting give this a great playing experience. This is played from one deck and is a multi-player game. 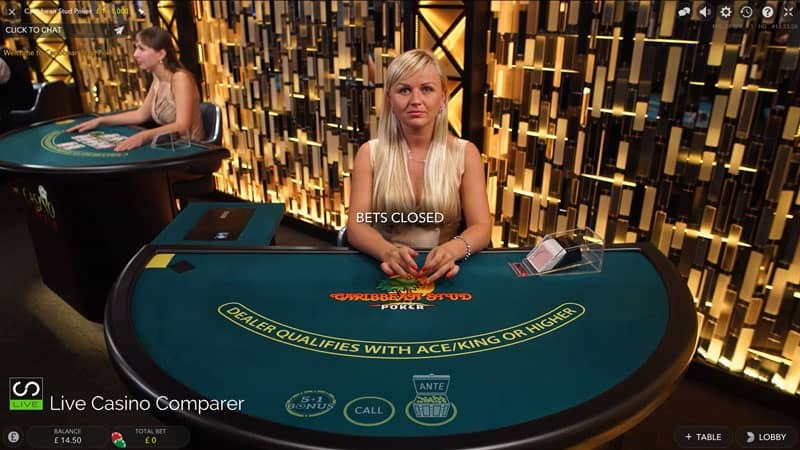 It’s a quick game and good for players that like the one to many type poker games. For me, I prefer to play 3 card poker. A recent addition to Evolutions games and not available everywhere, this is an exciting game especially when you play the 5 + 1 Bonus side bet. An old favourite of mine. I love to play this. I’ve won and lost playing this both online and at land based casinos. I don’t know what it is with this game, but hitting the elusive 3 of a kind keeps me playing.! 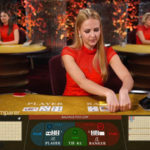 It’s played from one deck that’s shuffled after each hand and multiple players bet on the same hand. There is the interesting 6 Card Bonus side bet if you’re feeling lucky. The latest game from Evolution and one that I personally love. 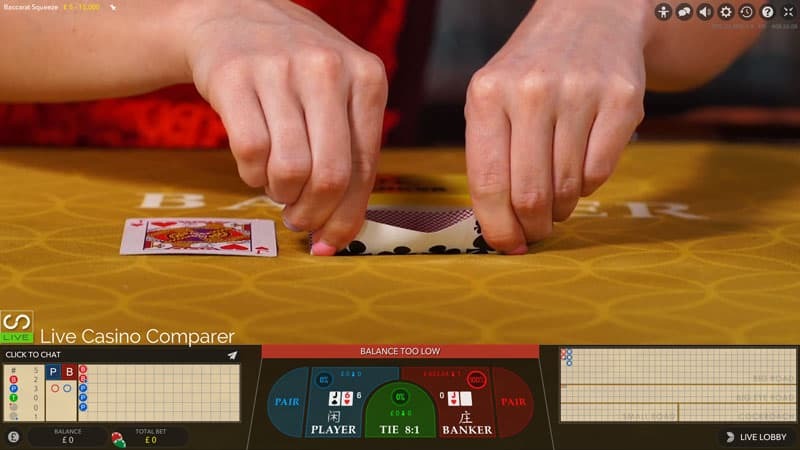 Based on Texas Holdem Poker, you have to beat the dealers 5 card poker hand. 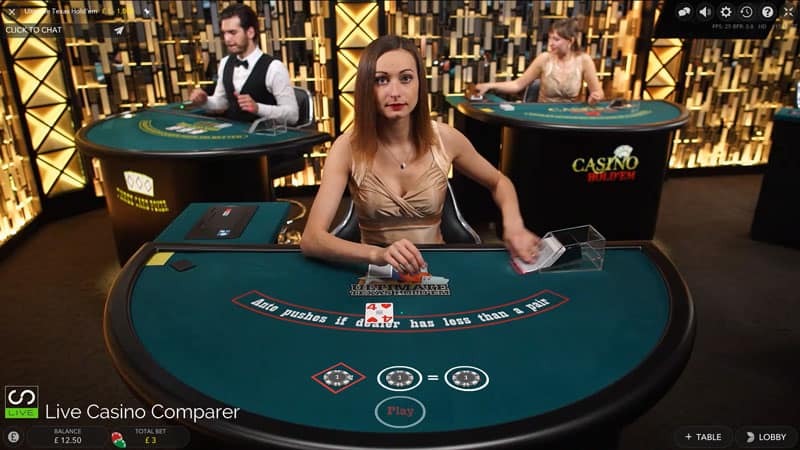 What’s unique about this game are the betting rounds where you get to increase your bet after each card is dealt. The Trips side bet gives this an added edge and pays out if you have a hand of 3 of a kind or better, even if the dealer beats you. Another variation of Ultimate Texas Holden. This time you get to build your bet as the cards are dealt, so you can end up with 4x Ante being bet on the hand. The other difference is the Bonus side bet. Usually this is paid out for poker ranked hands, but this version pays out on pairs and high value connectors. 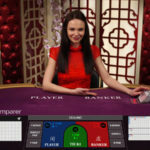 A cracking game that you should definatley try if you like poker. 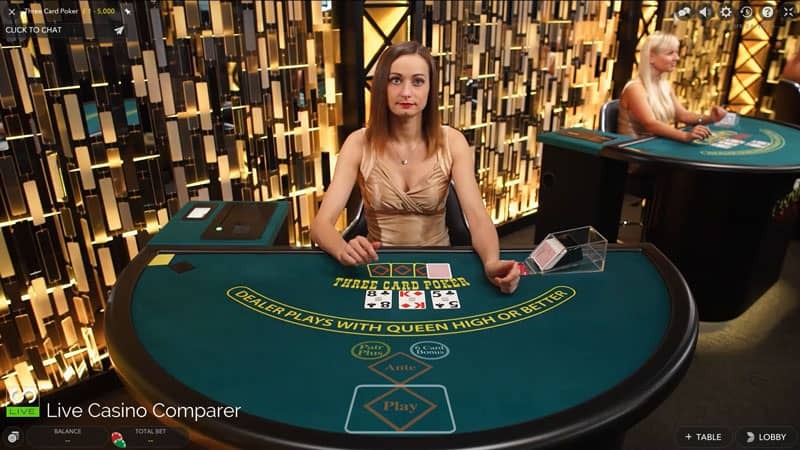 I’ve provided the table below to summarise the games available at the 32red live casino, with details of the minimum and maximum bets permitted, whether you can play multi-hand and the number of decks in use for the card games. 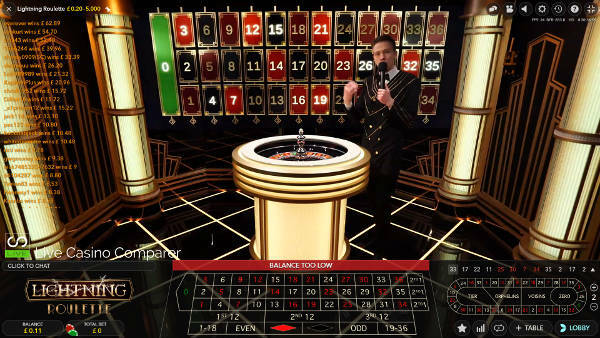 The live casino games are located on the main menu and are accessed by either scrolling down the screen or by selecting “Live Casino” from the menu. Clicking on the game will open up the Evolution software and the game will load in an embedded window in your browser. Unless you are planning to do other things on your PC I’d select the full screen mode as you be able to see everything with the clarity that Evolution has worked so hard to develop. The Software is clever enough to examine the quality of your internet connection and optimises the game so that you get no lagging. The software interface comes with loads of options and you can configure your session to just how you like. Online chat is available and it’s something I always use as I like to chat with the dealers while I’m playing. After all it a sociable game so I like to be social, but it’s not for everyone, so again you don’t have to use it. The dealers are chatty and will engage in conversation with you if you want. 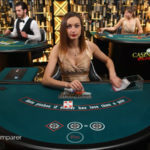 Disconnections can be a worry when you are playing live casino, so I always make sure I know what will happen if I lose connection. It doesn’t happen often, but if I’m downloading or streaming something else at the same time it can happen. If you’re disconnected mid way through a game, the game will continue to play out, and if you have made a bet, the game will automatically select optimal game play actions for you. Unfortunately, there is no “play for free” option, so you can’t test out the games before you play. 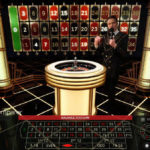 There are a couple of sites that do offer free play. The best in my opinion is Fairway Live Casino. The software interface is one of the best around, is intuitive to use and presents the games in a straightforward and obvious manner. 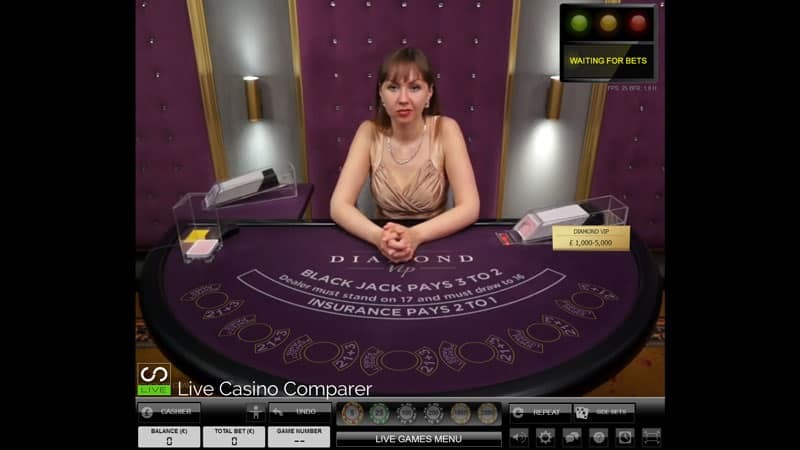 Running in mixed mode (Live Video feed and computer generated graphics) can be beneficial if you’re suffering from connection lag, as hand values are updated before the live images. 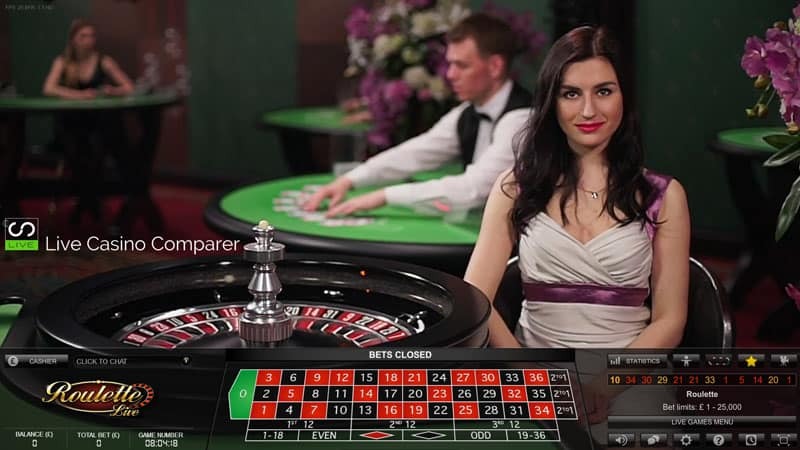 The live casino dealing room is located in Riga, Latvia. 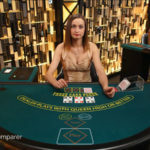 Depositing at 32Red live casino is really straightforward and they accept a whole range of payment methods. I’ve listed them in the overview at the top of the page, or you can view them on the 32Red Banking Page. Suffice to say they are all well known and secure methods for depositing and withdrawing money. As far as 32Red’s credentials go they are hard to beat. The casino is licensed in Gibraltar and the UKGC, they are listed on the London Stock Exchange, are certified by eCogra as safe and secure and are independently audited. 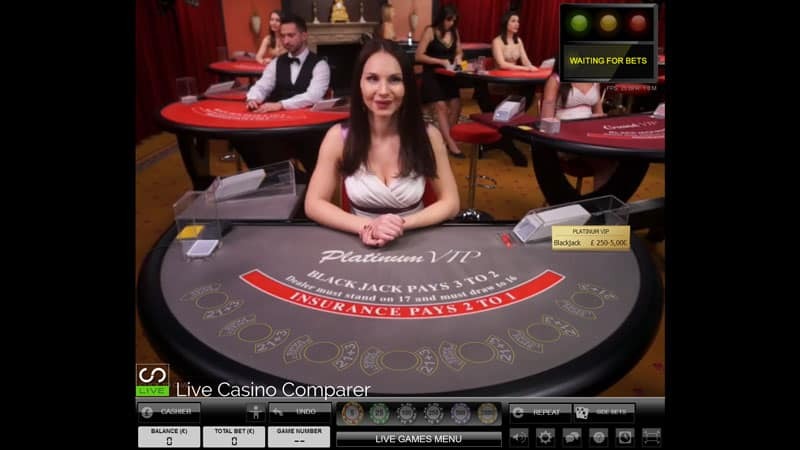 Any banking is performed over a secure encrypted link (HTTPS), and there is not a more respected online casino in the business. As I say, I’ve played at their online casino and have never experienced any problems. 32Red has a wide range of promotions for new and existing players. Further information can be found on their website. Loyalty points (or red Rubies as 32Red call them), are awarded each time you play and can be redeemed for casino chips. Support is second to none, with a variety of options to choose from. My favourite is the online chat, where you get to speak to a support rep.
Other options include Email, Telephone, Fax, Skype and even traditional snail mail. Support is available 24×7, so you never have to wait to get any questions you have answered. 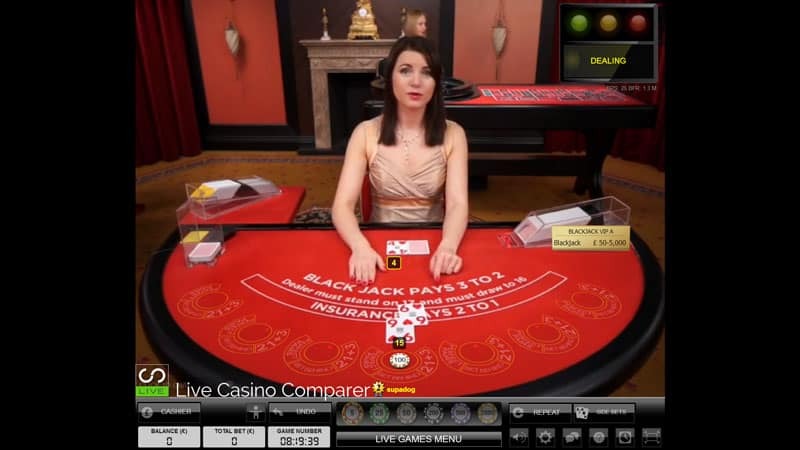 32Red are a well respected online casino and have an active live casino offering. Since the upgrade to the Evolution Live Casino they are now able to complete with the best of them. The only downside is the rather slow withdrawals. You’ll always get paid but it will take a few days even for web wallets like Neteller and Skrill.